Featuring raised, pointed corners that create slightly bowed edges, these CAC SHA-Q4 Sushia 1.5 oz. 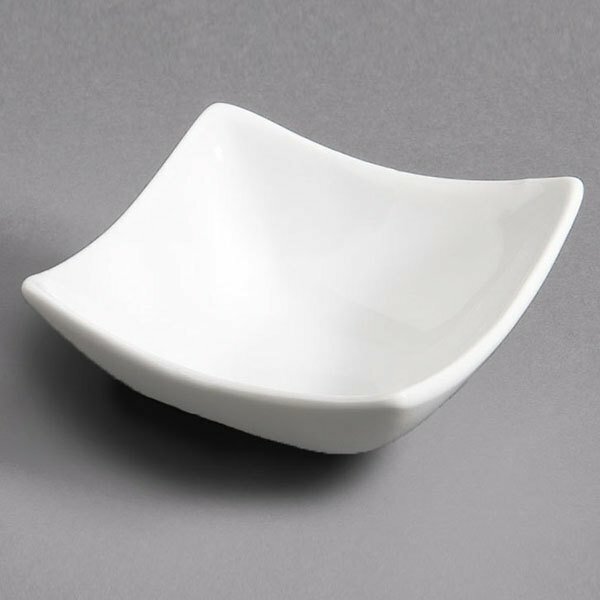 porcelain square dishes are made with an oriental influence that will add a cultural element to any restaurant. These square dishes are made of super white porcelain to embellish the wonderful colors of your sushi, wasabi, and other smaller sides! They are perfect for any fine dining establishment or ethnic restaurant. very nice little sauce cups. i have one on every table setting. they are sturdy have only broken one in four months. very economical as well.